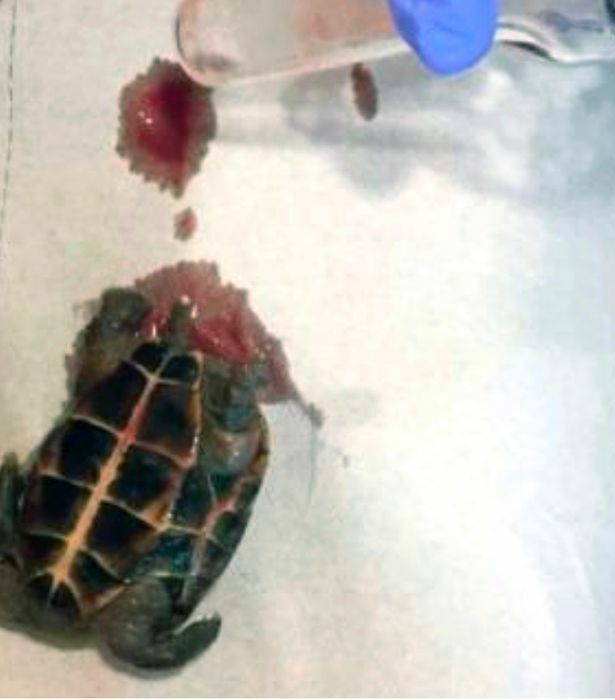 A British woman who lives in the Canary Islands had no idea a Chinese three-keeled pond turtle was lodged inside her. The woman said she was out the night before partying with some friends but doesn't recall what happen. She then was feeling sick over the next few days and went to the doctor. When the doctors found the reptile, they called the police in fear of her having been sexually assaulted. She has asked the police not to pursue any charges. The turtle could have grown up to 12 inches and she suffered a serious infection but should be okay.